“Aae meri Zohra Jabeen” or “Tujhe Dekha toh ye jaana sanam..” Don’t the melodies like these refresh your memories of love and romance? Pre-loaded with a curated selection of 5000 evergreen Hindi songs, Saregama brings to you your all your favourites – right from Ameen Sayani’s Geetmala to R.D. Burman’s lively hits, to the all-time favourites of Kishore Kumar, Lata Mangeshkar, Asha Bhosle, Mohd Rafi and Mukesh – each category will surely take you down a nostalgic memory lane into the golden era of music. It also has the charm of the old-world radio which enables you to switch to your favorite station. Additionally, you can also enjoy your personal collection of songs by plugging in a USB drive or running songs from your phone via Bluetooth. It is your girlfriend or mother, husband or grandfather, express love to everyone this Valentine’s Day with Saregama Carvaan. 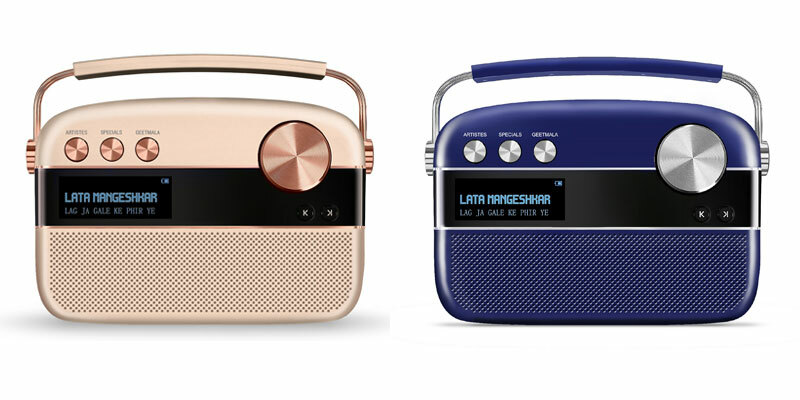 The price range of Saregama Cavaan starts with Rs 5990/- and variants of the product is available online and retail stores.